Chopping wood has become a common task. This is because wood burning stoves have become very popular, and a lot of people have embraced camping as a way of having fun. But the big problem is that many people do not know how to use an axe. 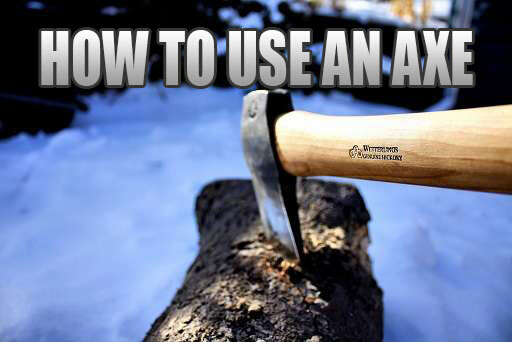 An axe is a common tool that is used for chopping or splitting tree limbs and logs. There are many sizes and types of axes, and all are used differently. A range axe or a forest axe is the mostly used axe. It is used to chop large pieces of wood. Another type of axe that have become more and more popular lately is tactical axes. Other popular types of axes is a hatchet or a hand axe. 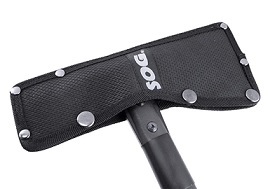 It is suitable for cutting small pieces of firewood such as dead branches and sticks. You can use one hand when chopping wood with a hatchet. They are great for backpacking and survival because of their small size. You can buy an axe at any home improvement store, online or at a camping store. However, you need to learn how to use an axe before purchasing one. This is because the simple task of chopping wood can become deadly if you do not know how to use an axe. First and foremost, you should always keep the axe in a case when not in use. 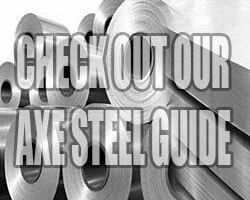 When you cover the axe, you protect the blade and any person who can be injured by the sharp axe blade. And before using the axe, always inspect the wood handle for any scratches or cracks. You should also make sure the axe blade is properly attached to the haft and it does not shake at the end of the haft. If the axe blade is not properly attached to the haft, it is likely for it to fly off while you are chopping wood. To ensure maximum protection, it is very important to have right protective clothing such as safety glasses and safety boots before you start using an axe. This is because some wood particles can fly in any direction and harm your eyes or legs. Even a very small piece of wood coming in contact with your eyes or a piece of wood falling on your leg while chopping can cause a big injury. To avoid any injury wear protective glasses and safety boots when using an axe. Another important thing is to have a firm and constant surface when chopping wood. You are advised never to use an axe to chop a log that is leaning against an irregular surface. This is because while you are chopping a log, the log can fall on one side but the axe continues due to the force you have applied and possibly meet your foot. And if it does not meet your leg, it may continue and fall on a rock which can absolutely dull your axe blade. This means you should always maintain a firm chopping surface. The surface should also be clean and free of any debris. 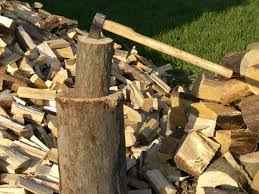 After you are done chopping the wood, all the chopped pieces should be arranged together far from the chopping area. It is also very important that the wood or log you are cutting does not contain materials such as nails or metal in it. If there are foreign objects embedded into the log, they can toss in the air while you are chopping and harm you or another person in the process. The common rule is that any log or wood that has metal objects such nails in it, throw it away. It is not worth the trouble. Your cutting position is also very important. 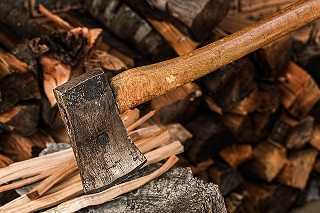 When chopping wood using an axe, especially the forest axe, you are recommended to use both of your hands. This is to help you sustain control of the axe because some axes are somehow heavy. You should also ensure both your legs are firmly planted on the ground, and some inches apart to make you cannot fall in case of unexpected. You are supposed to stand in front of the log, and it should be directly center of your sight. Your balance is very important since it make sure you delivery the most power with every stroke. You also need to be watchful and prepared for any situation that may arise while chopping the wood. Always clean, polish and sharpen the axe before using it because a dull axe is not only ineffective, it is also dangerous. After making all the important preparations, you are now ready to chop the wood using an axe. 1. Grab the axe by placing one hand 1 to 2 inches just above the end of your axe handle, and the other hand around 25% down. 2. Now, lift the axe using the both hands. Your aim is to hit the log directly in the center because if you hit the log to the front or on the side, it can be unsafe and very risky. 3. Make sure you put all your strength behind the axe by swinging it. 4. Now hit the target as hard as you can. Always keep the eyes on the target area as you swing. 5. If the first hit does not break the log into half, tap your axe that is now rooted in the log. Repeat by trying to hit the same point again until it splits the log into two pieces. You will continue to chop the pieces until you reach your desired size. 1. Always carry the axe at your side by holding the flat back of the axe blade in your hand. Some people have a habit of carrying an axe over their shoulders, it is risky and unsafe because it can harm your shoulder or fall on you. 2. Always wrap the axe when you are not using it, and when moving from one place to another. 3. Remember to wear protective clothing. 4. Always keep the axe sharp. Do not use a dull axe because using a dull axe can bounce back to when chopping.